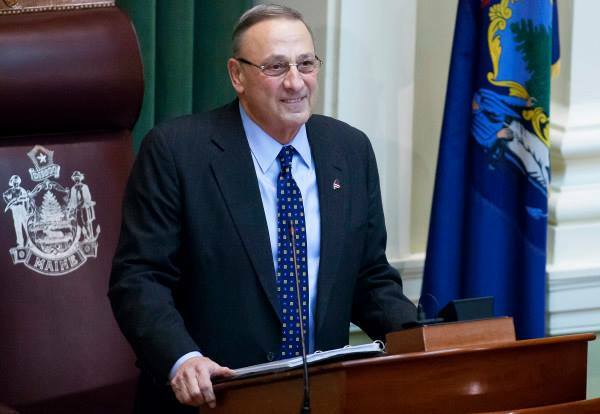 In his weekly radio address, Governor Paul LePage hammered Portland Mayor Ethan Strimling and Portand City Councilers who are pushing to give non-citizens the ability to vote in the city. “People don’t value the things they get for free. Giving legal residents who are not yet citizens the right to vote devalues becoming a citizen of our country. Portland Mayor Ethan Strimling recently proposed that the City amend its charter to allow non-citizens to vote in Portland’s municipal elections. I’ve written a letter to the mayor advising him that allowing non-citizens to vote is a clear violation of state law. In addition to this clear, basic statement, other state laws stipulate that Portland cannot exempt local municipal elections from these registration criteria by amending the City’s charter. About 10 years ago, a bill to allow municipalities to extend voting rights to non-citizens overwhelmingly failed in the 124th Legislature. Rather than pursue yet another politically correct boondoggle in his constant attempts to attract media attention, I asked Mayor Strimling to focus on real issues where municipalities and the state can work to prevent people from getting hurt. A recent example is my bill, LD 1629, to modify the municipal foreclosure process to keep vulnerable elderly from being thrown out on the street because their fixed-incomes cannot keep up with rising property taxes. In a municipal foreclosure, when a senior citizen owns the home outright, there’s no requirement that the municipality sell the property at market value and no requirement that the balance of the equity is returned to the homeowners, whose home’s value is their only savings. Solving this problem would be an excellent use of the mayor’s time. There’s a clear path to earning the right to vote: become a citizen. The right to vote is a major and compelling incentive to become a citizen. Our laws should further this incentive, not remove it. If the government gives non-citizens everything it gives a citizen, like welfare and voting, why should newcomers become citizens? Is welfare all we have to attract newcomers? I believe good-paying jobs will attract people from across the country and the globe to Maine. Once they are here, we should incentivize them to become citizens and to live and work in our state. This was true 100 years ago, and it is true today.